At the 2017 Heimtextil international trade fair at Messe Frankfurt in Germany, emerging trends in interior design, furnishings and textiles were introduced for the first time . 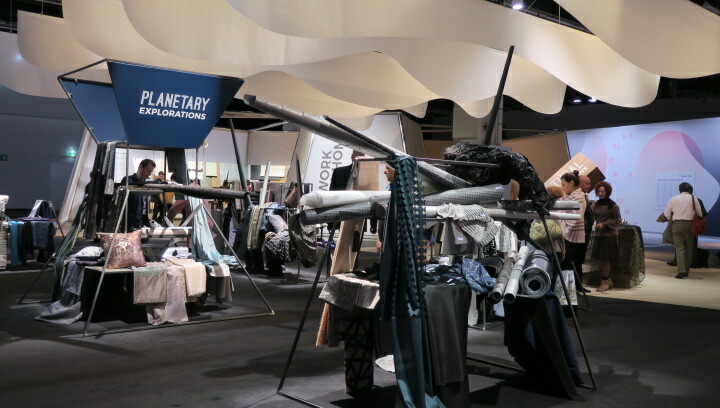 Manufacturers, dealers and designers from around the world launched countless new innovations at Heimtextil, which is the largest and most important international trade fair for home and contract textiles. The fair, which takes place every year in mid-January, was attended by a record number of exhibitors and visitors this year. At Heimtextil 2017, there were nearly 70,000 visitors over the course of the fair and 2963 exhibitors from 67 different countries. Heimtextil facilitates billions of dollars of global sales as it serves as the main international buying and selling platform each year for exhibitors and visitors alike. Quality and innovation were seen throughout the fair, which spanned across eight different immense halls. Exhibitors ranged from embroidery company Rahmig & Partner of Germany that meticulously sews fiber optic and LED lighting into textiles, to Akara of India, which makes innovative, hand-woven floor coverings, including a new line of stain resistant Tencel carpet and Zorluteks Tekstil Ticaret of Turkey which makes hand-cut and hand-dyed curtains. 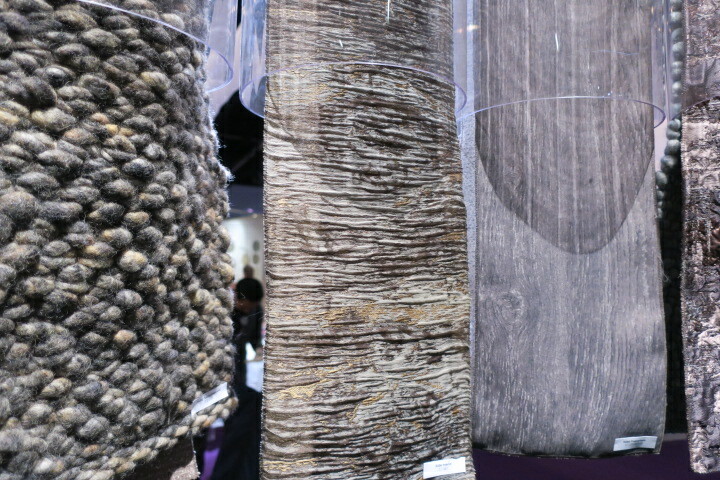 One of the highlights of the fair is the discovery of emerging trends, which are displayed at Heimtextil’s “Theme Park”. Here, examples of trends that have been identified by experts are on display featuring more than 2,000 different textiles. This year, the French trend agency, Carlin International, under the management of Excalis, forecasts the trends in a variety of themed worlds. With a motto entitled “Explorations”, visitors were taken on a journey through such themed displays as “Virtual Explorations”, “Planetary Explorations”, “Natural Explorations” and “Cultural Explorations” that showcased a variety of environments ranging from home and office to retail, hospitality, technology and transport. Within each display, there were examples of textiles featuring designs related to the themed area, each of which is predicted to be an emerging trend in the not-so-distant future. 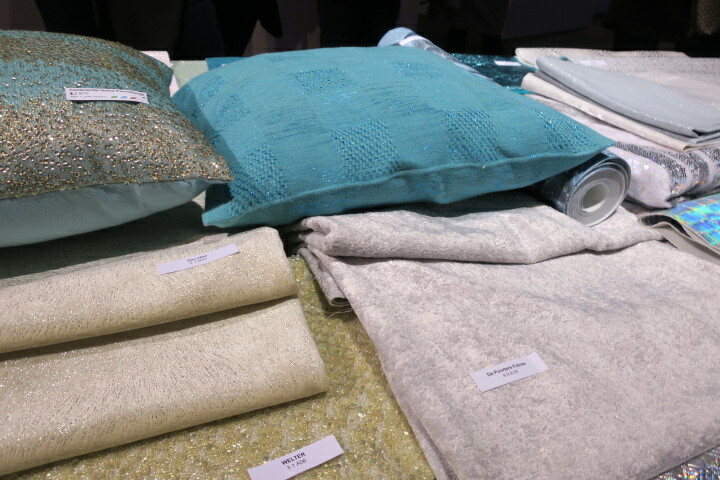 In the planetary exploration section of the Heimtextil theme park, textiles featuring crystals, iridescent, reflective materials were featured. According to Thimo Schwenzfeier, director of marketing and communications at Messe Frankfurt, Heimtextil exhibitors were provided with exclusive access to the emerging trends well in advance of the fair, so that they were able to use them to develop new fabrics, materials and other products in time to showcase them at Heimtextil. “Our exhibitors are always state of the art,” explains Schwenzfeier. The materials created by the exhibitors are vetted and curated before being showcased in the Theme Park. In the planetary exploration section of the theme park, textiles featuring crystals, iridescent, reflective materials were featured. “These textiles have a reflective effect, with a shimmery touch, such as that of a moonstone,” says Flavie Bernard of Carlin International. The color range in this category will range from brilliant white and dark ashy tones. There were also examples of textiles that were reminiscent of landscapes, such as lava, volcanic rock and a variety of minerals. 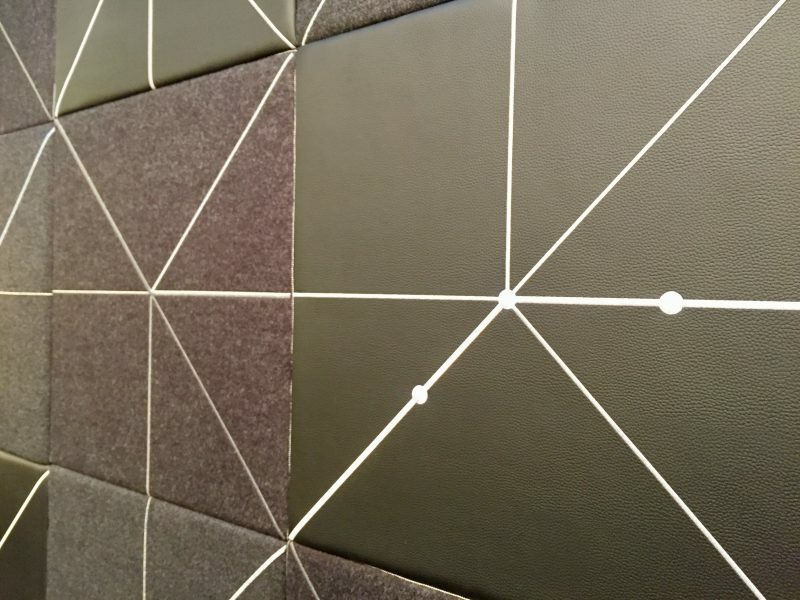 One wall covering on display looked like the surface of the moon. 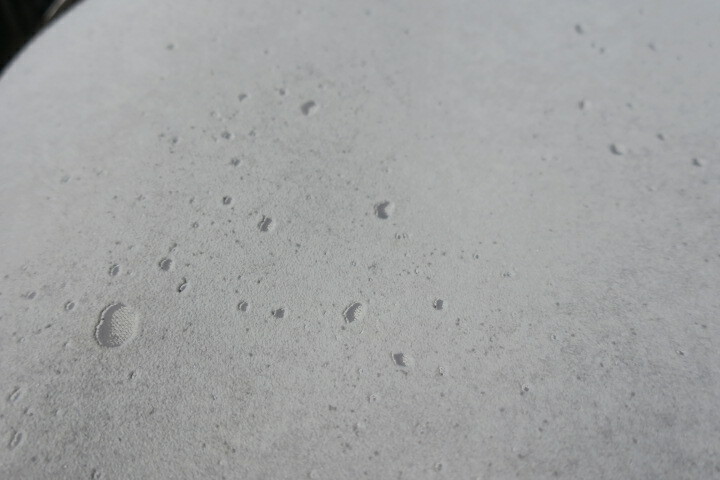 One wall covering on display looked like the surface of the moon. Indeed, nature was a recurrent theme and there were textiles on display in which plants or natural material were integrated into the materials. 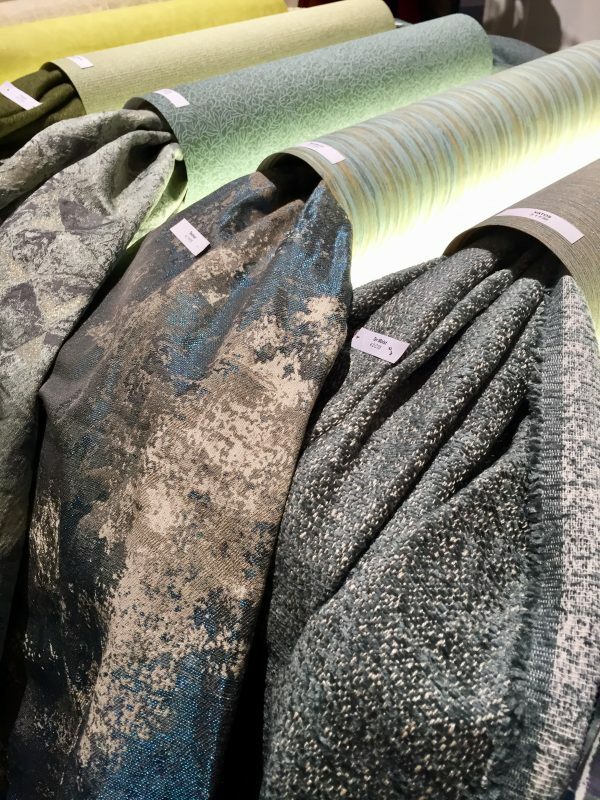 The experts at Heimtextil predict back-to-nature will be in vogue, with different colors seen in the forest, from greens (reminiscent of moss) as well as different shades of wood. Back-to-nature will be in vogue, with different colors seen in the forest, from greens (reminiscent of moss) as well as different woods and tree bark. Another innovative product on display was a beautiful wall covering on display in which real, cultivated butterflies, were adhered to the surface. 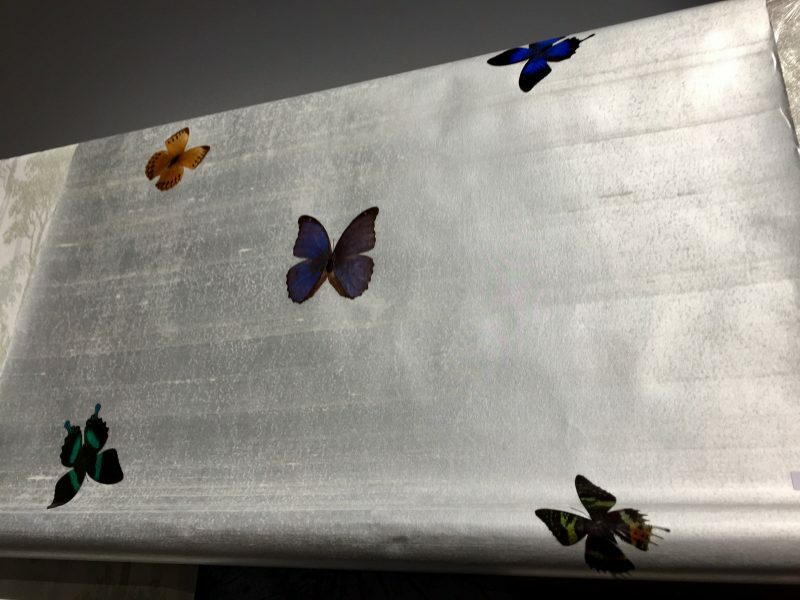 This wall covering uses real, cultivated butterflies that are adheared to the surface. Cultural explorations were evidenced by displays that showcased a multi-cultural world. Here, there were examples of textiles in which different themes were mixed together. “There will be a focus on basketry with rattan, wicker, and woods,” predicts White. This theme spilled over into wall coverings with examples of wood-inspired wallpapers on display. Shades of brown, red and orange were featured. 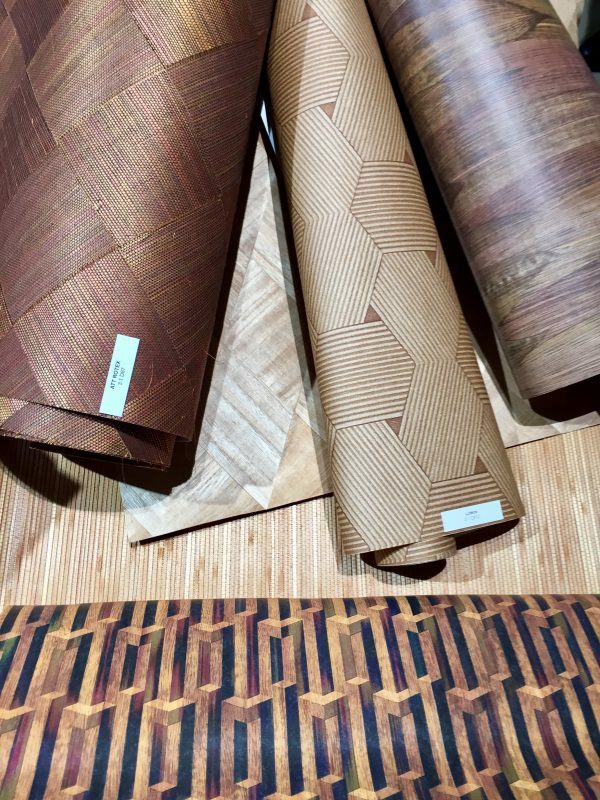 The cultural exploration theme spilled over into wall coverings with examples of wood-inspired wallpapers on display, reminiscent of wickers, rattans and other woven products from around the world. 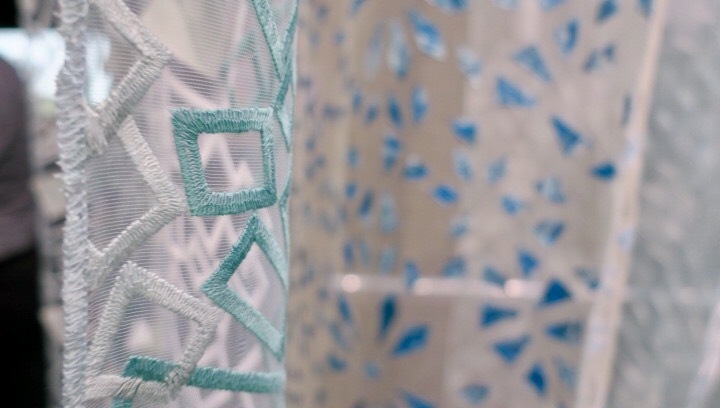 The virtual exploration display featured a range of aquatic-inspired colors, such as coral and a range of blues with shimmery, pearlescent transparent fabrics that mimic the glint of light in an aquatic landscape a recurring theme. The virtual exploration display featured a range of aquatic-inspired colors, such as coral and a range of blues with shimmery, pearlescent transparent fabrics that mimic the glint of light in an aquatic landscape a recurring theme. This example was manufactured by Zorluteks Tekstil Ticaret of Turkey. Technology will continue to have a large impact on textiles and design. There were several examples of textiles in which LED lighting or fiber optic lighting were integrated in wall coverings. Technology will continue to have a large impact on textiles and design. There were several examples of textiles in which LED lighting or fiber optic lighting were integrated in wall coverings. These panels were made by Rahmig & Partner of Germany. Bed and bath products were also featured at Heimtextil, with a variety of mattress manufacturers launching innovative new designs and bed covering manufacturers launching bed coverings. One emerging trend seen this year was a proliferation of dark colors in the bedroom, as sleep has become more of a focus, according to WGSN’s White.